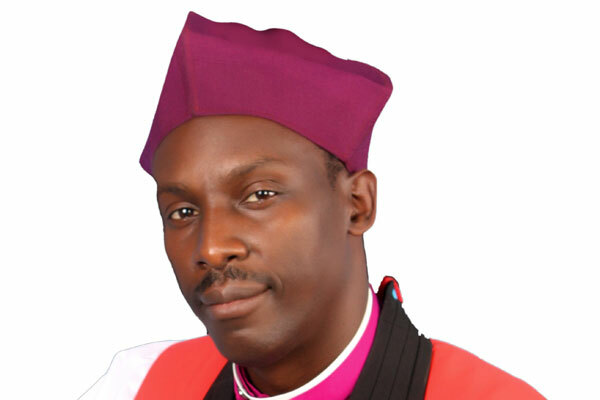 The evolution of Church of Uganda’s Ankole Diocese, which covers the districts of Mbarara, Ibanda, Isingiro and part of Ntungamo with 17 archdeaconries and 107 parishes, is a product of a long history. The Diocese of Uganda was formed out of the Diocese of Eastern Equatorial Africa in 1897. In 1926, the Diocese of Upper Nile was created out of the Diocese of Uganda and thereafter in 1960 the Diocese of Uganda was further sub-divided into the Dioceses of Namirembe, West Buganda, Ankole-Kigezi, Ruwenzori and Ruanda-Urundi. It was not until 1967 that the Diocese of Ankole was birthed when it was separated from Kigezi, thus the golden jubilee celebrations slated for today at the diocesan office grounds in Ruharo. Ankole Diocese has given birth to three dioceses, namely West Ankole in 1974; North Ankole in 2003; South Ankole in 2012 and the expectant North West Ankole Diocese covering the administrative district of Ibanda due for delivery on October 1. Through its vision and core values, Ankole Diocese has been instrumental in the spiritual, social and economic transformation of the peoples of the region. Without the experience of spiritual transformation through the word of God brought by the Church Missionary Society’s (CMS) Rev Herbet Clayton and John Willis, assisted by Baganda evangelists Andrea Kamya and Philip Bamulanzeki, Ankole region might never have witnessed illustrious development. The fruits of the East African revival sown on January 11, 1936, further cemented the CMS gospel and are responsible for the moral enlightenment that catapulted the Banyankole into unprecedented society transformation. Only recently when I was invited by my colleague and friend Bishop Paul Kiptoo Masaba of Sebei Diocese to speak to his head teachers, priests, lay readers and key stakeholders on raising standards of education in Sebei sub- region, did I fully realise the veracity of the foregoing argument. 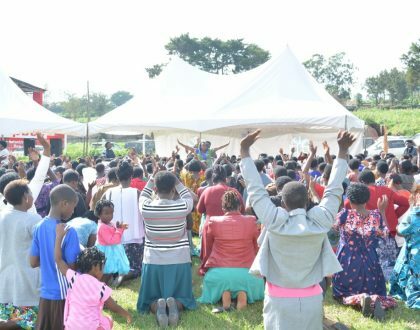 While addressing them, Bishop Masaba said when he became bishop about two years ago, the elders sat him down and advised him to seek friends with any bishop from western Uganda because the region seriously embraced revival values and education which has transformed their sub-region. 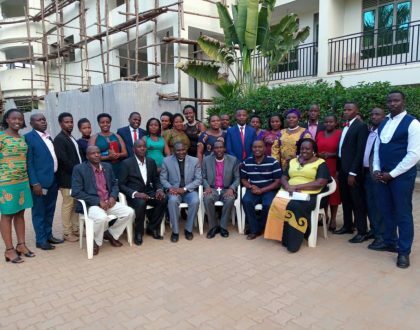 Ankole Diocese is the owner of the not-for-profit Bishop Stuart University that has a population of 4,500 students pursuing a wide range of professional programmes. The diocese has tertiary institutions including a bible institute, farm school, farm institute and four vocational secondary schools. Church of Uganda-founded Ordinary and Advanced level secondary schools are 38 while primary schools are 258. Very many pupils and students have passed through our primary and secondary schools, tertiary institutions and Bishop Stuart University. Through our partners Compassion International who fund the Church of Uganda Child Development Centres with Shs2.4 billion per year, we have educated close to 2,364 needy students in primary, secondary, tertiary and university levels per year in the last 15 years. As regards to the health sector, Ankole Diocese has played a significant part in addressing the health needs of all people. Ruharo Mission Hospital, which was established in 2005, has been instrumental as a one-stop medical centre to augment Mbarara University Referral Hospital, especially with a niche in eye care and corrective orthopaedic surgery. HIV/ Aids, anti-malaria, cancer, diabetes and other health campaigns have not only been promoted by Ruharo Mission Hospital but also the 10 health centres spread across the diocese. Two years ago, my pastoral visit to the 107 parishes was majorly aimed at sensitising Christians about prevention against killer diseases such as HIV/Aids, diabetes, cancer, high blood pressure and Hepatitis B. The diocese through its planning and development departments has spearheaded the economic transformation of parishes and in turn improvement of house-hold incomes. Participatory and community empowerment programmes have resulted in acquisition of new knowledge and techniques to increase production and improve income. The concept of self-reliance and supplementing of the Sunday collection basket with the different major and minor diocesan income projects plus agricultural projects, is a testimony of the fulfilment of the parable of talents (Mathew 25: 14-30). The most recent project of establishing Ankole Diocesan Millennium Sacco is another milestone in addressing people’s needs. 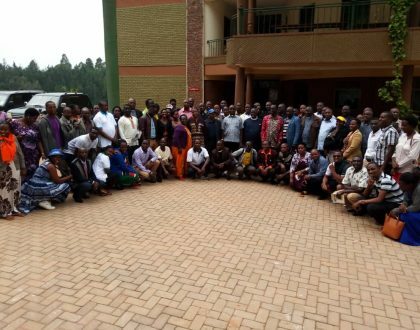 The Sacco, now about four years old, with more than 4,500 members has grown its portfolio to about Shs2 billion and has six branches. To cut the long story short, while the single most important contribution of Ankole Diocese to the people of the four districts of Ankole sub-region is the spiritual and moral transformation, the social and economic transformation, if quantified, would astound development economists and politicians, some of whom have never fully appreciated the role of the Church in social and economic transformation.